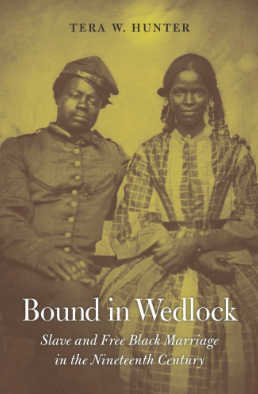 I recently spoke with historian Tera W. Hunter about her groundbreaking new book Bound in Wedlock: Slave and Free Black Marriage in the Nineteenth Century (The Belknap Press of Harvard University Press, 2017). Hunter is Professor of History and African-American Studies at Princeton University. Her first book, To ‘Joy My Freedom: Southern Black Women’s Lives and Labors After the Civil War (Harvard University Press, 1997), received several awards. 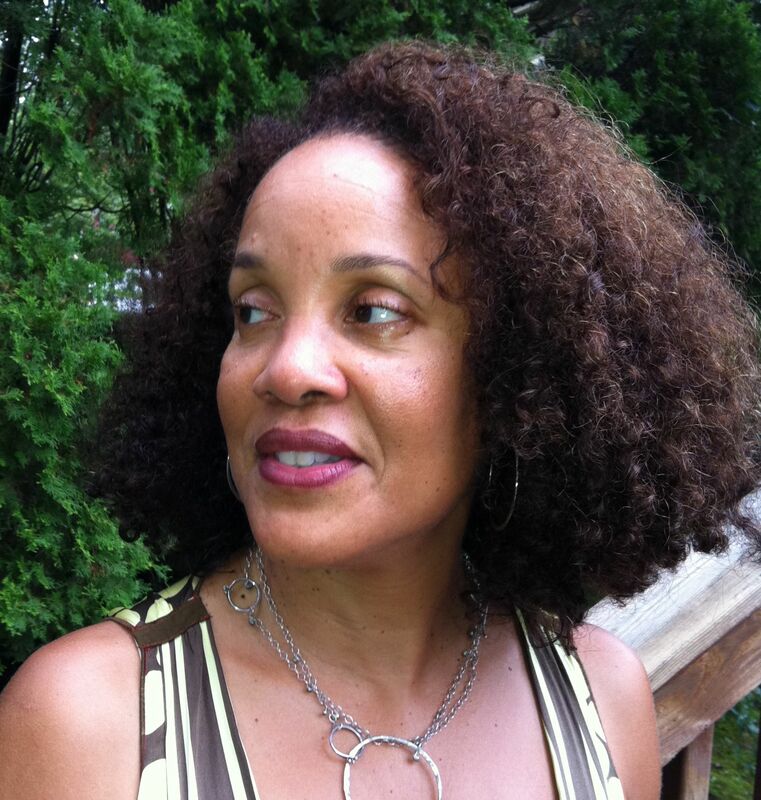 She co-edited with Sandra Gunning and Michele Mitchell, Dialogues of Dispersal: Gender, Sexuality and African Diasporas (Blackwell Publishing, 2004) and with Joe W. Trotter and Earl Lewis, African American Urban Studies: Perspectives from the Colonial Period to the Present (Palgrave Macmillan, 2004). Hunter’s public work has appeared in the New York Times, the Washington Post, the Christian Science Monitor, the Huffington Post, Ebony, and NPR. Follow her on Twitter ‪@inllhrprhntr. Bound in Wedlock is the first comprehensive history of African American marriage in the nineteenth century. Uncovering the experiences of African American spouses in plantation records, legal and court documents, and pension files, Tera W. Hunter reveals the myriad ways couples adopted, adapted, revised, and rejected white Christian ideas of marriage. Setting their own standards for conjugal relationships, enslaved husbands and wives were creative and, of necessity, practical in starting and supporting families under conditions of uncertainty and cruelty. TCF: I love that you open Bound in Wedlock with your paternal great-great grandparents’ marriage certificate. So few historians center the personal even though our research is, in fact, deeply personal. How did you find this document and why did you decide to include it? TWH: Most of the research of my paternal family lineage has been done by our family historian, my dad’s cousin Bruce Hunter, who is a retired engineer. He shared the marriage certificate with me many years ago, which I kept posted on my bulletin board for inspiration. He has been working on the family tree for decades, but his discoveries of the earlier ancestors before my great-great grandparents, Ellen and Moses Hunter, began to accelerate in more recent years, thanks to more records being digitized and available online, as well as DNA evidence. As the tree began to fill in for the earlier generations, I was struck by the preponderance of interracial pairings before Ellen and Moses broke the trend as the first intraracial couple among my direct ancestors who were legally married. It started to dawn on me how much my own family history is evocative of the larger history I had been researching for my book. I have been awed by how these threads began to mesh. It only reinforces the value of the stories of so many other ordinary and little-known individuals in the book. My family history made my work more personal and tangible. TCF: Your passion for the subject definitely shines through in the writing. You make a compelling argument about the relationship between race and marriage. Why do the two become so closely linked as slavery is codified? TWH: There is a long legacy of racial discrimination that originated during slavery, which hardened as slavery was codified in the law. The rigidity began during in the colonial era as it became increasingly imperative to define slavery as a permanent, inheritable condition, to lock in a self-reproducing workforce. Laws were passed that restricted the intimate relationships of free blacks and defined slaves’ status based on their mothers’ status (partus sequitur ventrem) to ensure that slave owners maintained control over the reproduction of the enslaved. Marriage rights normally granted free couples control over women’s sexuality and labor and parental rights over children. But in order to perpetuate the status of slaves as laboring bodies and further the expansion of capital fueling the global market, those rights had to be denied to slaves. The property rights of enslavers were given the greatest priority. But race, and not just slavery, established the basis for denigrating intimate bonds. African Americans, regardless of status—Northern or Southern, free or slave—faced harsh reprisals from racist ideas and practices that impinged on their intimate relationships. This was because of the growing bifurcation of freedom being associated with whiteness and blackness with servitude, especially during the antebellum decades. TCF: The Civil War is such a critical turning point in the book, and you chronicle this history in important new ways. TWH: Yes, the war provided the first context in which fugitive slaves could start to formalize their relationships and gain legal standing. Missionaries and Army officials began to marry slaves “under the flag”—under U.S. authority, to stabilize the growing fugitive population and to prepare them for citizenship. Hence, it was in the context of the war that African Americans were encouraged, and sometimes coerced, to create formal, monogamous, marriages with legal standing. African Americans always reinforced the importance of their families in their encounters with the outside agents. This became especially pronounced after black men were allowed to enlist in the Army. African Americans from the beginning of the war perceived the war to be, and treated it as, a war for their liberation. The federal government came to understand that in order to encourage more men to enlist, they had to offer them protection for their wives and children and the only way to do that was to free them, to give legal recognition to their marriages and all the privileges that accompanied those new rights. TCF: Willie Anne Grey’s and Chery Williams’s moving stories explain so much about the complexities of black intimacy after the war. How did you find these two women in the archive? TWH: Both stories come from letters in the Freedmen’s Bureau records. These are remarkable documents, especially given that African Americans were just out of slavery and largely illiterate. Both women dictated letters addressed to husbands, which were then passed on through the networks of bureau agencies in hopes that they would ultimately reach the men. Many ex-slaves used this strategy to reunite their families postwar. Complex families were created out of the disruptions that enslaved people could not avert. And yet they went to great lengths to reconstitute their old ties, making themselves emotionally vulnerable in the hopes that their feelings would be reciprocated. In Willie Anne Grey’s case, her marriage had been breached by the sale of her husband during slavery. She eventually remarried and had additional children. Her second husband died. After the war ended, she searched for her first love. Chery Williams had a different story. Her husband was a Civil War soldier. Before he left for service they shared a tender parting and he promised that, God willing, he would return to her after the fighting stopped. He survived, but he did not come home. She heard rumors that he was living nearby, which left her devastated and puzzled. Williams wrote a love letter, pouring out her soul, pleading for his return. But she also expressed a not so veiled threat, informing him that she had new legal rights as his rightful wife, which gave her the power to command his return. TCF: You work with an impressive range of primary sources, and you treat your subjects with such care. It’s what I admire most about your scholarship. How do you approach archival research, knowing that black folks’ lived experiences are often distorted or omitted altogether? TWH: Thank you! 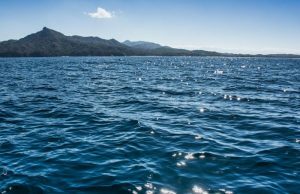 My first approach was to think expansively about all the various kinds of sources that dealt with family and marriage issues. There is quite a bit of published material, such as slave narratives and interviews. There are the Freedmen’s Bureau records, many of which have been selectively published in bound volumes by the Freedmen and Southern Society Project at the University of Maryland. There are tons of other Civil War era material, such as the pension files of widows of soldiers. There are laws and legal treatises, newspapers, and memoirs. There are lots of manuscript documents like plantation and organizational records. I tried to visit as many archives with prominent collections of African American material as I could, mostly up and down the east coast. I made excursions to the Mid-West and to California, although with less success. As I worked on the book, the source base grew as more documents and collections were digitized and made available through online databases. This was a blessing and a curse. It increased the quantity of material I had to consider, use, or rule out. But it also put a lot of archival material at my fingertips. The open-ended approach to exploring a diversity of sources was important to me because I was genuinely interested in discovering who, what, and how the people of the past would speak to me. I wanted the records to be my guide for the stories to tell. TCF: Bound in Wedlock is the product of exhaustive research and beautiful storytelling. I know it will be widely read. 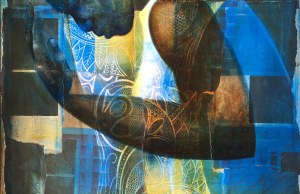 What contributions do you hope your work makes to broader conversations on black life, love, and freedom? TWH: I hope that my work contributes to deepening the knowledge of the history of slavery and its consequences for American society and for African-American lives. We cannot fully appreciate how the nation has come to be what it is without this knowledge of how slavery and freedom were intertwined. We cannot fully understand the harms done to African Americans without accounting for how they impacted marriages and family. And we cannot fully appreciate how African Americans survived centuries of duress without knowing the roles that family played in countering the devastation. We were always creative, resourceful, and practical in building meaningful relationships that were the balms in Gilead. And yet, despite the distinct disabilities that black families suffered under, there is a long legacy of stigmatizing the bonds they created, of using the failure to meet dominant norms as a barometer to judge black fitness for civilization and citizenship negatively. 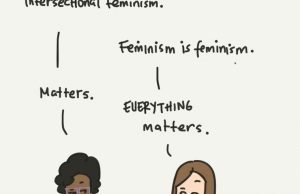 We need to understand those patterns and the legacies that are continually replicated with each iteration of the seemingly forward movement toward greater freedom and justice. I would very much like to get in touch with Prof. Hunter to discuss her reference to Dublin Hunter in her introduction, someone my family also claims as an ancestor.